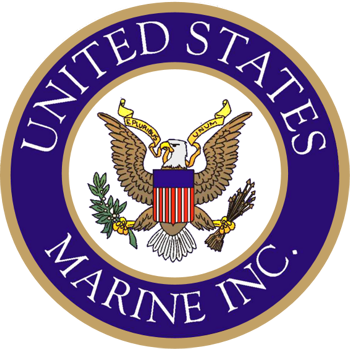 Quality – United States Marine, Inc.
Providing our customers with the highest level of quality and value, while reducing risks. USMI is committed through innovative engineering and creative thinking to provide our customers with the highest level of quality and value. Through our ISO 9001:2015 Quality Management System, we continually improve a customer focused, management driven, prevention based Quality System. This is achieved using key metrics and processes that are measurable, visible and challenging. USMI’s main Gulfport Facility has a certified ISO 9001:2015 Quality Management System for the Design and Fabrication of Watercraft for Military Applications. USMI establishes, documents, implements, maintains and continually improves a quality management system in accordance with the requirements of the International Standard Organization. USMI has developed a Quality System Manual that specifies requirements and policies of USMI; it is used as a guide to address customer satisfaction, to meet customer and applicable regulatory expectations and to meet ISO 9001:2015 requirements. Product and process planning is described in USMI’s Standard Operating Procedures. USMI’s SOP’s establish the roles and tools needed for a given task, they provide a knowledge base for the business and are a written record of the procedures, actions and policies that contribute to a project’s success. The processes defined in our SOP’s undergo internal and external audit’s to ensure compliance to the ISO 9001:2015 standard. All data pertaining to the Quality Management system is maintained through Quality Management Software. This includes: document control, training records, non-conformances, corrective/preventive actions, internal audits, tools & equipment, calibrations and customer service. Trend analysis and Measures of Performance provided through the Quality Management Software, provides an immediate understanding of the effectiveness of the Quality System. Management Review Meetings are conducted to ensure continuing conformance, adequacy and effectiveness of the quality system. The reviews include: results of Internal Quality Audits, customer feedback, performance of production processes, production forecast and quality control data, conformance of products to requirements, status of corrective and preventive actions and recommendations for improvement. The tasks and processes described throughout can all be referenced in USMI’s Quality Manual or SOP’s. USMI’s Quality Department performs testing and inspections throughout the build process. Inspection Hold Points have been developed through the use of key metrics and trending and are performed by qualified QA Personnel. The Quality Team utilize several check lists and inspection sheets to ensure equipment is functioning properly and parts are built according to manufacturer and customer specifications. USMI develops and provides test plans and procedures for tests and trials. Testing is performed at planned intervals and USMI’s Quality Assurance personnel are responsible for recording test results and analysis of results if required. Successful completion of test and trials are verified through the signatures of USMI QA and required Government Representatives. Employees of USMI are treated as family and as a result; morale and retention are high. USMI believes that customer service and craftsmanship begins with great employees. Employees from each of the different departments within the company must undergo distinct training programs designed specifically for that department. Evaluations including skill assessment, annual reviews and periodic work performance reviews give feedback to employees on a consistent basis. This feedback allows the USMI team to continually improve our skills and performance to the customer.